Arit is the founder and Director of DiVA. She works with employers in the development of apprenticeship programmes that support workforce diversity, business growth, skills development and talent retention. Arit founded DiVA out of a passion for providing access to excellent career opportunities for talented individuals from diverse communities. Arit is passionate about helping people pursue careers they enjoy. She does this through DiVA an award-winning recruitment and training organisation specialising in creative, business, and digital apprenticeships. Her clients include some of the UK’s well-known brands including Universal Music, BBC Worldwide, Warner Music, the Southbank Centre, the BRIT Awards, UK Music the BPI and more. DiVA was the first London based independent provider to be awarded the Creative Skillset ‘tick’ in recognition of the outstanding support they offer to apprentices’ and employers. Arit holds an MA in Executive Leadership Development and Mentoring. As a Career Development coach, she works with women returners, those looking to change careers or move into senior level roles. She also runs a series of career development workshops focussed on intrapreneurship and is often called to deliver master-classes and talks on entrepreneurship. Her YouTube channel provides job seekers worldwide with careers guidance, interview, and job search tips. Before venturing into entrepreneurship, Arit enjoyed a career in the film and TV industries. She holds an MA in Producing from the National Film and TV school, the best-reputed film academy in Europe and worked with the UK Film Council (now part of the BFI) supporting new talent in the development of feature projects. As a Project Manager at Creative Skillset, she spearheaded the design and delivery of high-end internship scheme the Graduate Fellowship Programme connecting talent from the Black, Asian, Minority and Ethnic communities to paid internships in top film companies. Arit is the recipient of Entrepreneur of the Year Award (Precious Awards), Business Person of the Year (Newham Chamber of Commerce). 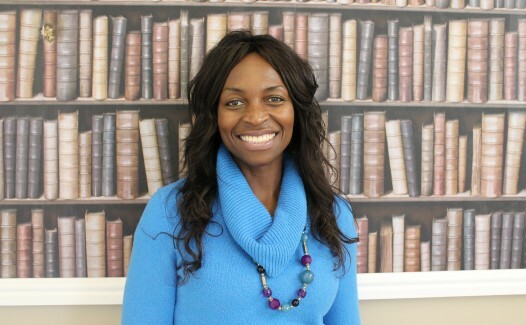 She was recognised as a Leader in Media and Arts by the Black British Business Awards. DiVA Fact: Arit used to be in a (vocally challenged) girl band named ClArit (named after its members Clare and Arit). They never had a hit. They only sang ‘Wet Wet Wet’ covers.